Sunday was a gorgeous day in our neck of the woods. After lunch, our adventure with Motor Man’s mom was a ride through Ft. Monroe in Hampton. 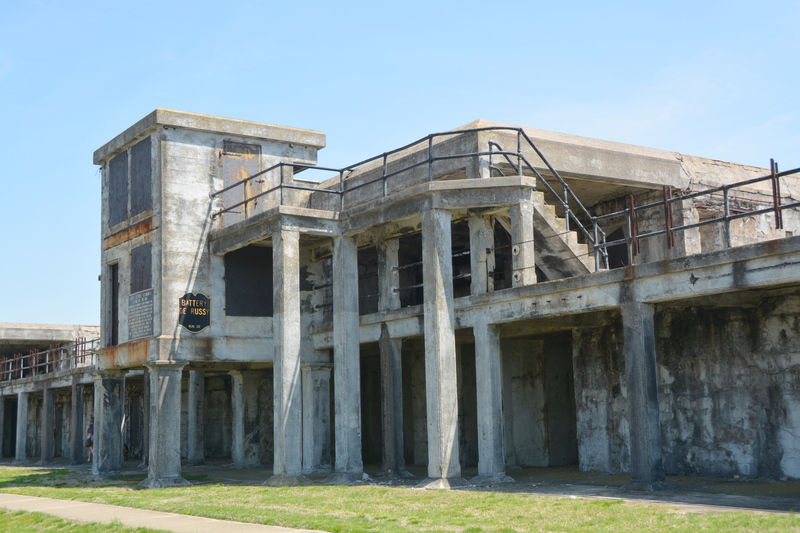 Ft. Monroe was an army installation until it was decommissioned in 2011. You may read more about it, including its interesting history, by clicking on this link. 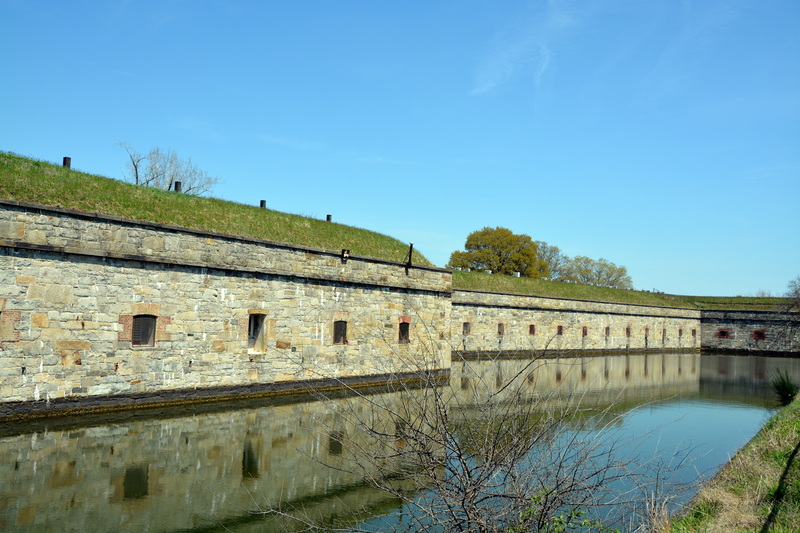 Although the stone fort (the largest in the United States) was built in 1834, the Colonists actually built a fort at this location in the early 1600’s to protect Jamestown. The stone fort is surrounded by a moat. 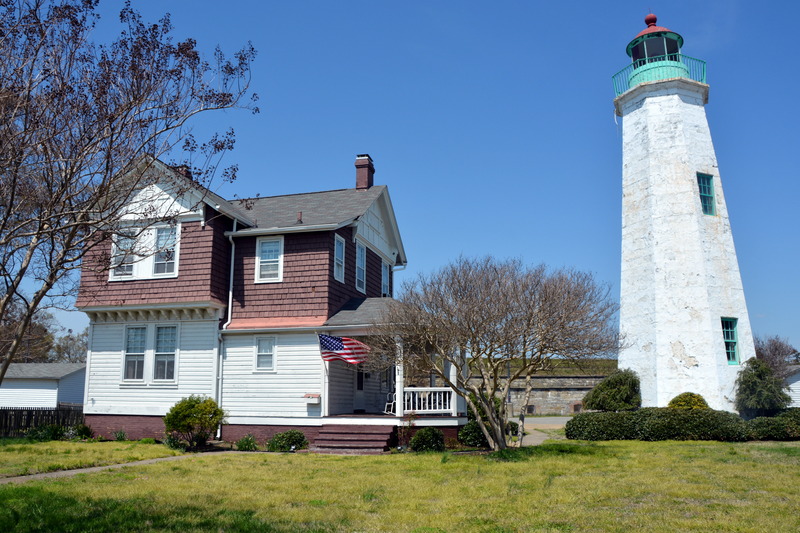 There are nearly 200 historic properties on Ft. Monroe, including Old Point Comfort Lighthouse, built in 1802. 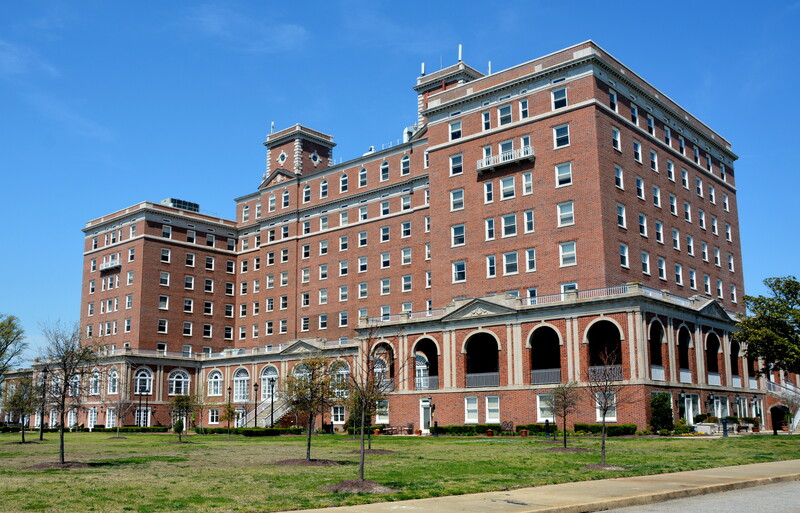 Also located on Ft. Monroe is the beautiful Hotel Chamberlain (1920), now home to a senior retirement community. 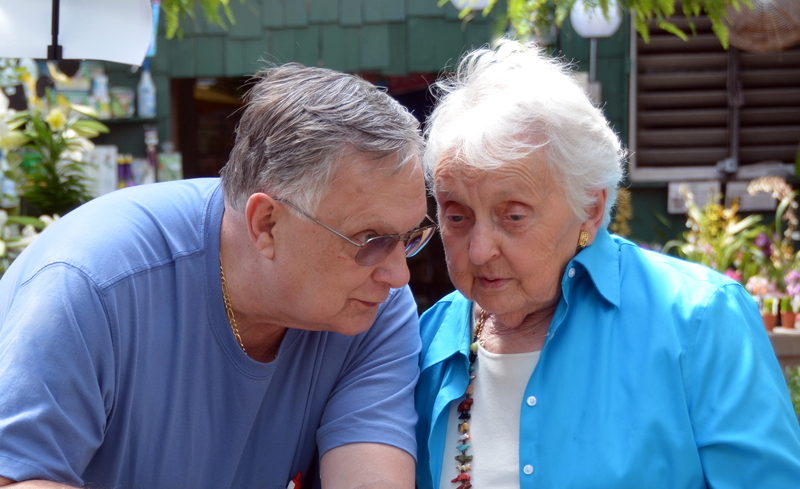 After our drive around the fort, we stopped at a nearby greenhouse/nursery, where I took this sweet picture of Motor Man and his mom. Another successful Sunday adventure in the books. What a beautiful day with so much to see! Thanks for the walk trhough history!! I’ve only been to Ft.Monroe once and didn’t see much since we went directly to the officers’ club for a dinner! The pictures of JR and his mom from you Sunday ‘adventures’ will be treasures for a long time! Love the lighthouse! I used to collect them but didn’t have the one you feature here. Looks like you all had a wonderful Sunday! Beautiful, and I hope you’re collecting all these wonderful pictures to publish in a personal memory book. Everyone of MM and his Mom make me smile! The Chesapeake Bay, one of my favorite places. Thanks for sharing your lovely photos. MM Mother looks beautiful in turquoise! What a grand Sunday adventure – looks like a most interesting place too! 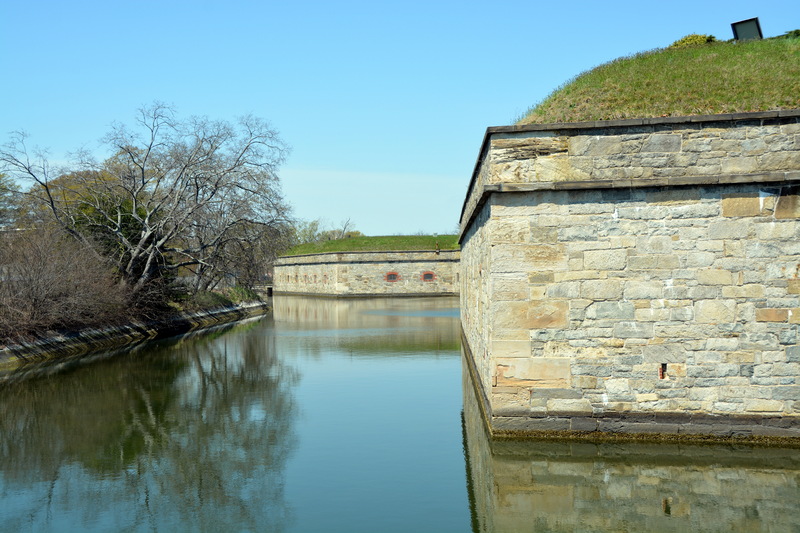 the fort along the water is neat! 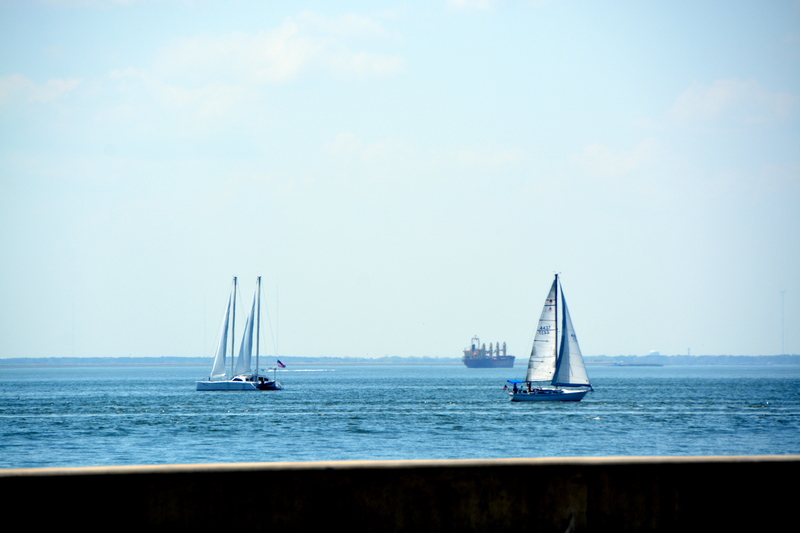 pretty sailboat photo, too! We had a friend who lived in the house next to the lighthouse. Beautiful and so historical. Fort Monroe is great ! So many historic structures there, but The Chamberlain and the Battery steal the show …. wait.. I can’t forget the lighthouse! And another nice closing pic ! These are amazing images. Love the history behind them. Aw I agree that is a sweet moment with MM & Mom . Wow it’s amazing to think of folks settling there so many centuries ago. It’s great that so many buildings have been preserved. It’s certainly a lovely historical site… well except maybe for the prison looking building. I agree with Mom too on that one. Looks like another wonderful adventure. Thanks for sharing it with us. Another great adventure witth Mother Keen. She must treasure these trips on Sundays.and you all too. Thanks for history on Ft. Story we did not know. The pics are lovely on such a lovely day! You had a great outing on a beautiful day, Diana. The fort looked interesting as did that beautiful old hotel. You captured a sweet final photo of MM and mom. What a great outing. Loved the Lighthouse. I enjoy these Sunday adventures. It’s nice to see the Chamberlain restored and re-purposed. I attended a women’s retreat there once, many years ago.